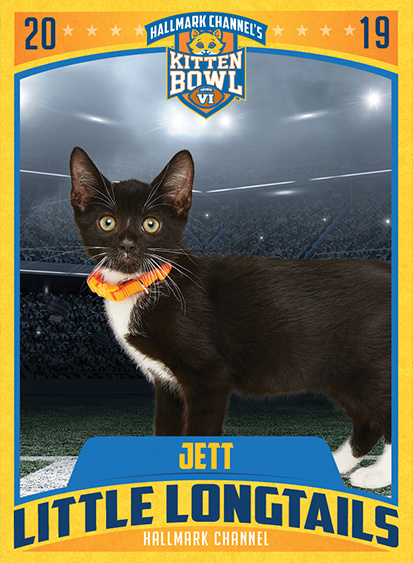 Our all-star cat-letes are ready to hit the gridiron in Kitten Bowl VI, airing Sunday, February 3, 2019 on The Hallmark Channel, hosted by Beth Stern, Volunteer, Foster Parent, and North Shore Animal League America National Spokesperson. 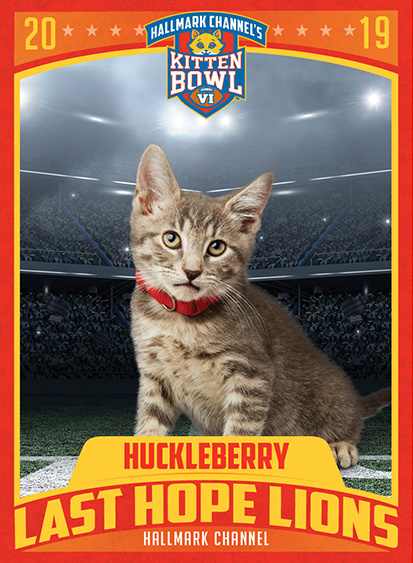 Plus, our partner shelters across the country will be hosting Kitten Bowl Parties to help you add a furry friend to your home team. 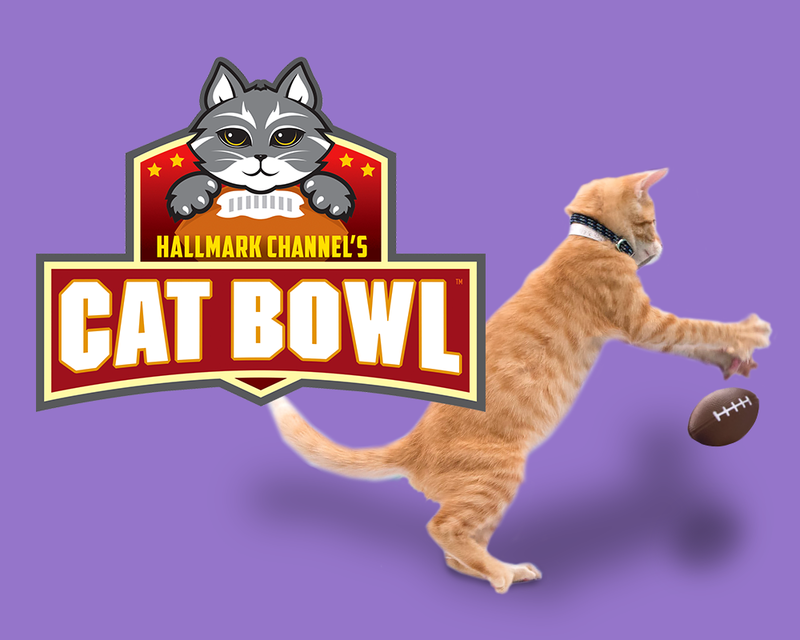 Don’t miss this year’s showdown, it promises to be a feline football frenzy! Join Animal League America for our Kitten Bowl Party from 12pm to 4pm on Sunday, February 3rd at our Adoption Center in Port Washington, N.Y. We will be serving refreshments and playing Kitten Bowl highlights throughout the party. PLUS All feline adoption fees will be 50% off throughout the entire day! We're sorry there are no events in this area. Please try a new search. 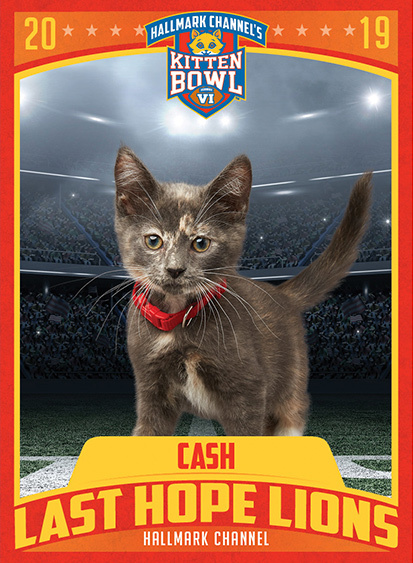 These are the MVPs in the hearts of our cat-letes — and all animals in need — who donated to our Kitten Bowl VI Lifesaving Pool! Join our pool today and help us reach 175 supporters by kickoff. 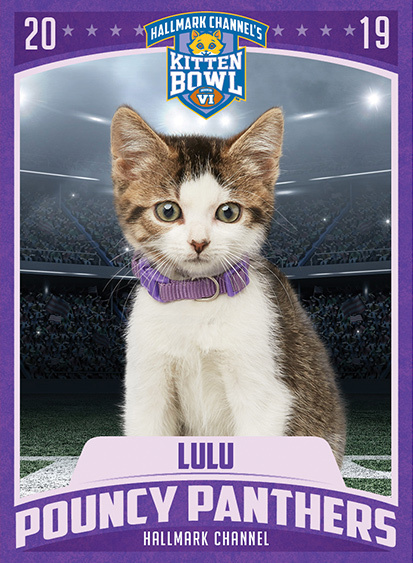 Meet our own North Shore Animal League America Cat-letes. 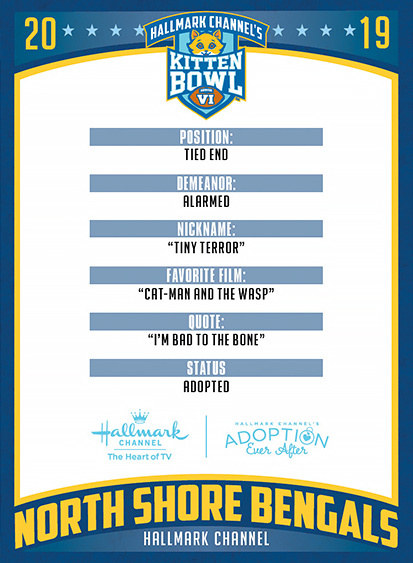 For more player profiles, visit hallmarkchannel.com/kitten-bowl. Get in the game when you share your own Kitten Bowl pics and stories on social media using #KittenBowl. 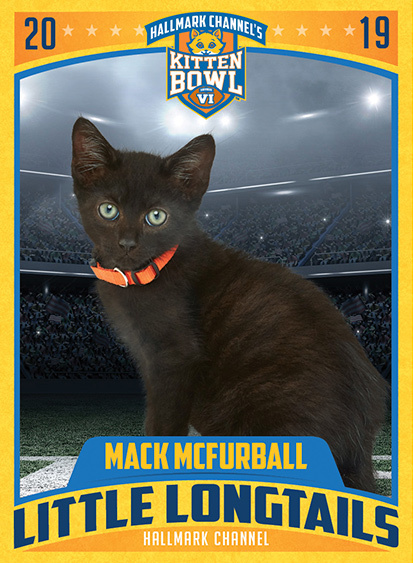 Adorable and adoptable adult cat-letes compete in a gridiron game for the ages. 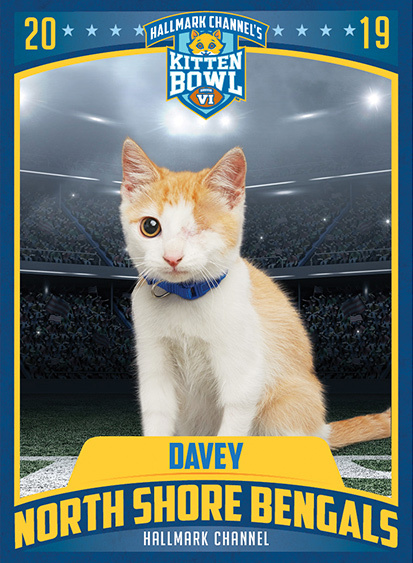 Showcasing inspirational stories of senior and special needs cats that have overcome all odds. 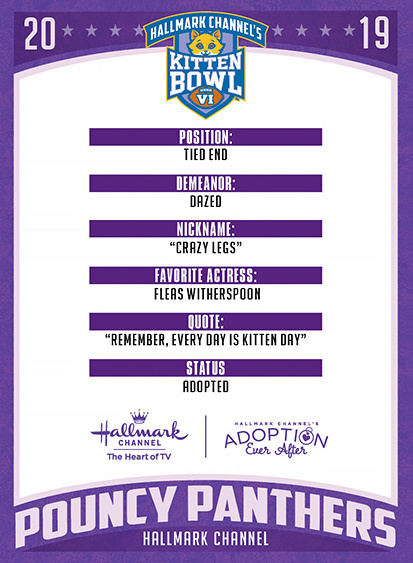 Hosted by Beth Stern, Alison Sweeney, Cameron Mathison. 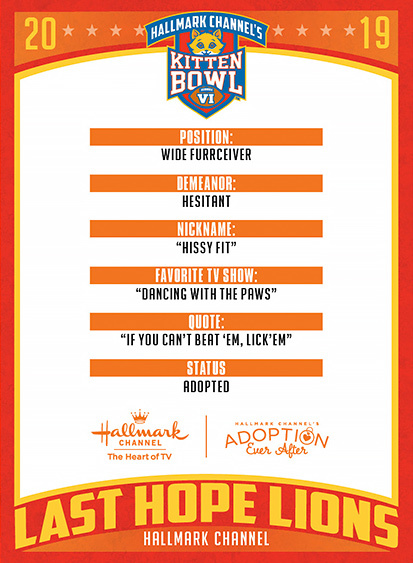 Cat Bowl airs Saturday, February 2, at 10pm/9c. 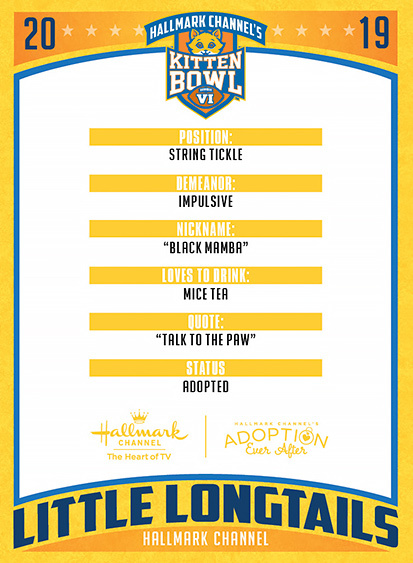 Meet the trio, Jingle, Bell and Holly, they are star players and cannot wait to win the bowl. 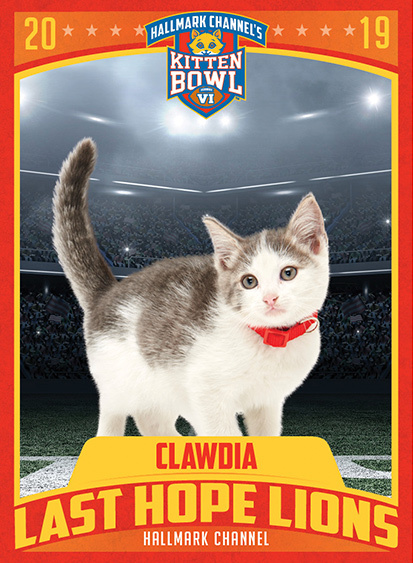 Meet Zena, she is big, fluffy, and excited to be team captain in the first annual Cat Bowl. Meet Twinkles and Sprinkles, they might play on different teams but they are together for life. 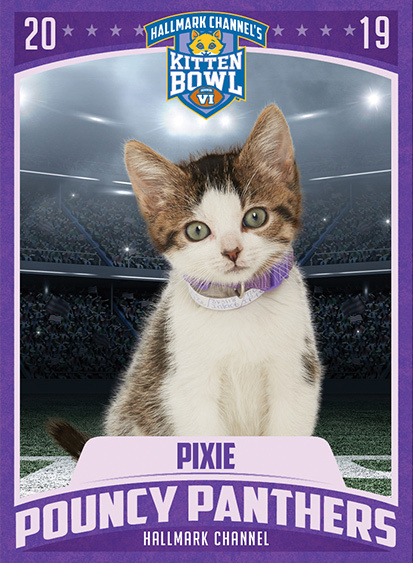 Meet the twins Pearl & Opal, they cannot wait to play in Kitten Bowl VI and find a forvever home.